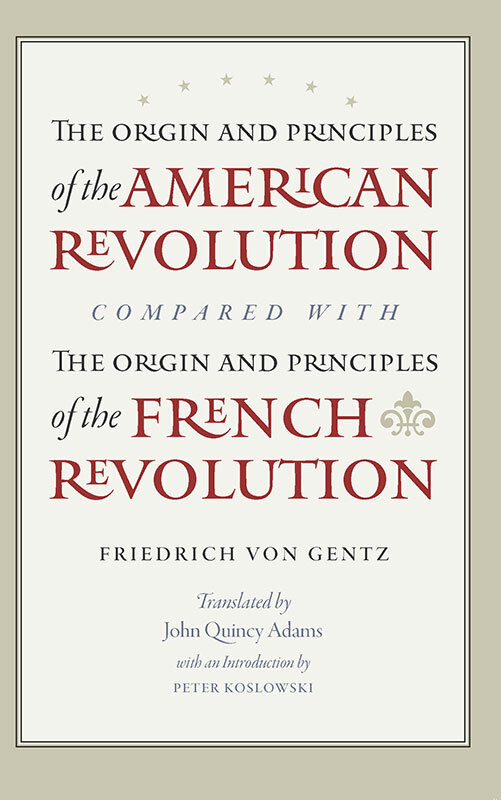 The Origin and Principles of the American Revolution is perhaps one of the most important books written on the American Revolution by a European author. It is an original study of the subject by a conservative, objective German observer who acknowledges the legitimacy of the American Revolution, but also asserts at the same time that it was not a revolution but a legitimate transition. The Liberty Fund edition is supplemented by a new introduction and annotations that provide the reader with historical and contextual background to better create a more robust picture of Gentz’s thought. Peter Koslowski was Professor of Philosophy at VU University Amsterdam. Translator's preface, editor's introduction, author's text and footnotes, extensive endnotes, index.